Booking your CBT test in Southampton is the first step to getting on two wheels and exploring the amazing landscapes surrounding the city, such as the New Forest, South Downs and Cranborne Chase. We have several CBT test centres in Southampton and the surrounding areas that will be the perfect fit for new riders to get onto two wheels quickly and safely. Assured Rider Training are located in the centre of Southampton, right next to Itchen bridge and offer an air-conditioned classroom and spacious outdoor off-road training area. Their fleet of motorcycles and scooters includes a wide range of machines, all of which are upto date. Fat Boy Motorcycle Training are located outside of the city centre, in Hedge End, but is easily accessible from Southampton via the A334 and A3025. It can also be easily reached from Portsmouth via the M27. Since Fat Boy Motorcycle Training are located outside the city, the local roads are much quieter and more suitable for your first steps on the road. On the other side of Southampton Water is Phoenix Motorcycle Training. The guys at Phoenix have several schools across the south of England, and they’re all held to incredibly high standards. Further afield we also have CBT schools in Fareham, Wickham and Gosport. If you’re at least 16 and hold a valid UK provisional licence then you can take your CBT (Compulsory Basic Training). At the age of 16 you will only be allowed to ride a motorcycle or scooter with a maximum capacity of 50cc and a top speed of 50cc. Here are our top five 50cc scooters from 2018. If you’re aged 17 or above then you are legally allowed to ride a motorcycle or scooter with a maximum capacity of 125cc, and maximum power output of 11kW, equivalent to 14bhp. 125cc motorcycles and scooters are great in the city, but the larger engine means they’re just as at home on the open roads in the country and can keep up with faster traffic without problems. Don’t worry about buying expensive motorcycle equipment before your CBT test in Southampton. The test centre will provide a helmet, and usually a jacket and gloves, too. It is, however, advisable to wear sturdy trousers, such as jeans, and sturdy boots that cover the ankles for extra protection.Take some waterproof layers just incase. This is Britain after all. Despite the name, the CBT test isn’t actually a test - you can’t fail - however you may need further training. 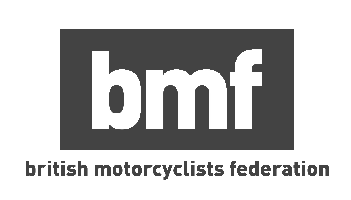 CBT stands for Compulsory Basic Training, and it’s the minimum standard you need to reach before you can legally ride on the UK’s roads with L-plates. Your CBT will start in the classroom, where your instructor will go over the theory on handling a motorbike and scooter, teach you about basic maintenance and make sure you know basic highway code (it’s a good idea to read up on you highway code beforehand). Once the classroom work is finished, you’ll head outside, where you’ll be introduced to your motorcycle or scooter for the day. Your instructor will show you how the controls of your motorcycle or scooter work, and he’ll also make sure you’re comfortable pushing the bike around and putting it on its stand. Then you’ll get your first bit of action. Your instructor will take you through some basic manoeuvres where you will get used to handling the bike on the move. Once you are confident enough at low speeds, it will be time to head out on the road, where you will need to demonstrate your ability to ride safely and in a controlled manner. You’ll head out on a 2 hour ride with another pupil, with the instructor getting the chance to assess you both. Complete all that, and you’ll be handed a CBT certificate. Congratulations, you can now put on your L-plates and head off into the sunset. If you’ve still got questions about the CBT, take a look at our FAQ page.